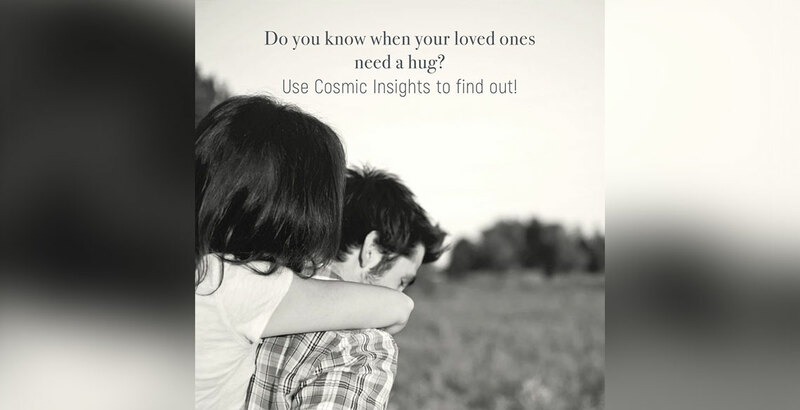 How do you know if your loved ones need a hug ? Every month there is a 2.5 day period where we all feel a little restless for no apparent reason! The mind goes through some turmoil and we feel gripped by some unknown negativity! In vedic astrology our mind is represented by the planet “Moon”! The Moon travels through the Zodiac spending approximately 2.5 days in one zodiac sign! When the moon in transit is 8 signs away from the natal moon (moon sign from our birth horoscope) we call it “Chandra Ashtama” – Chandra meaning moon, Ashtama meaning eight. In the natural zodiac that starts from Aries moon is debilitated (weakest) in the 8th sign which is Scorpio as well! During this short 2.5 day transit it is advised not to take any important decision as we do not have the required clarity and not to begin any new tasks/projects! It is best time to meditate, chant and contemplate! It is best to choose silence over words because chances are we may be misunderstood! During this transit all it takes is a little extra love and care from our closed ones to bring that smile back! The warm hug during these times will mean a lot! A simple gesture of love can go a long way during this transit! So how do you find out when you or your loved ones go through this chandrashtama transit ? Simply download the Cosmic Insights App – add your profiles and you will be notified in the dashboard! A little bit of awareness about this can save your mind!